A campaign aiming to improve the situation in prisons and help former prisoners kicks off. Nashe Mnenie expert network finds out that the value of rights per se has grown significantly for Belarusians. TUT.BY chief editor Maryna Zolatava to stand trial in BelTA case on February 12. Mediakritika.by portal kicks off an online project about fake news. The organizing committee applies for Freedom Day 2019. Minsk will hold a flash mob against gender-based violence. Authorities allow citizens to propose amendments to draft laws. Two Belarusian CSO activists take part in the World Economic Forum in Davos. Freedom Day 2019. On January 16, the organizing committee applied for holding a mass event to Minsk municipality. The organizers believe that up to 30,000 people may appear at the celebration of the 101st anniversary of the Belarusian People’s Republic (BNR). The scenario includes marching from Kastrychnitskaya street to Dynamo Stadium, a rally and concert. A fundraising campaign is open. Authorities allow citizens to propose amendments to draft laws. The Council of Ministers’ resolution introduces a possibility to discuss bills at the official Legal Forum. At the same time, the state limits the initiative to submit bills to the public. In general, independent experts welcome the new law – the state, though with a lot of reservations, seems ready to listen to the citizens’ opinion. Dance flash mob against gender-based violence will be held in Minsk, on Valentine’s Day, February 14. The flash mob as a part of the One Billion Rising international campaign aims to put an end to the bullying of women, and with the help of mass dances demonstrate solidarity with the victims of violence. Marching, Baby! initiative organizes the action in Minsk. The exact location is to be confirmed. Investigation of Zakharanka, Hanchar and Krasouski’s cases is suspended. The state has stopped looking for the opponents of the authorities who went missing 19 years ago and for the people guilty of their disappearance. The relatives will appeal this decision. Return a Person human rights public campaign kicked off. The campaign aims to improve the situation in prisons and help former prisoners in their socialization. The campaign also intends to seek the possibility of visiting places of detention. The campaign was initiated by the Belarusian Documentation Center together with partner human rights organizations. Belarusian rating of human rights. In December 2018, Nashe Mnenie (Our Opinion in English) expert network commissioned a poll on the question, which rights and freedoms seem to be the most important for Belarusians. Thus, Belarusians highly value social rights, to a lesser extent – economic, even less – political. But compared with 2013, the value of rights per se has grown significantly for Belarusians. 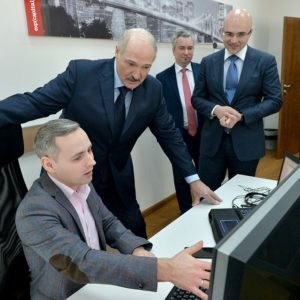 19 Belarusian media will be monitored since February 2019. Press Club Belarus launches a large Media IQ campaign that will monitor 15 online media and four TV channels to observe journalism standards and detect signs of misinformation, propaganda, and manipulative techniques. The campaign will also organize media schools for high school pupils and promote media literacy among Belarusians. TUT.BY chief editor Maryna Zolatava to stand trial in BelTA case on February 12. For the first time in the history of modern Belarus, the chief editor will be tried on charges of offences related to the professional activities. Zolotava remains the only accused person in the so-called BelTA case, an investigation into alleged unauthorized access to paid services of the government-owned news agency. Special project FAKES. Everything you need to know about fake news in 2019. Mediakritika.by portal kicked off an online project about fake news to answers the actual questions: what fakes are and how to recognize them; what real consequences of virtual fakes are; how to deal with fakes around the world at different levels and what is the future of fake news. Whitepaper 2018: European prospects of Belarusian higher education. The Public Bologna Committee released the 2nd whitepaper on the implementation of the Bologna commitments by Belarus. The authors not only state the numerous problems of Belarusian higher education but also outline a program of action for modernization. The authors present the report at the Press Club, on February 5. BISS is launching its first educational project Be Critical. The project of the Belarusian Institute for Strategic Studies (BISS) is meant to promote critical thinking in the Belarusian society, especially among youth. It is to include a range of activities like video-lectures, training, and textbooks. The introductory video lecture is available (in Belarusian). Mova Nanova celebrates its 5th anniversary. The first classes of Mova Nanova (Language Anew in English) free courses of Belarusian language, were held in Minsk on January 13, 2014. Now the classes take place in 14 cities and attended by over 3,500 people. Organizers call to donate for courses through the crowdfunding platform Talaka. Two Belarusian CSO activists take part in the World Economic Forum in Davos. They are Andrey Yeliseev, East Center research director, and Lyudmila Batura, an employee of one of the UN regional offices. Both activists represent Minsk Global Shapers Hub, an international network of young professionals under the WEF auspices. Individual entrepreneurs seek a meeting with Lukashenka. They collected almost 7 thousand signatures on an appeal to the president with a request to meet. The chairperson of the Perspektiva CSO met with the head of the presidential administration to deliver the appeal. Entrepreneurs want to discuss urgent problems of small business with Lukashenka. Index of the Good for business. The social fund Dobra (the Good in English) will measure the social responsibility of the Belarusian business – how much a company cares about people and the environment. The index aims to motivate companies to more active communication with consumers and organizations that implement social projects. Belarusian Foreign Minister answers to Brigitte Bardot. In December 2018, the famous actress and animal rights activist Brigitte Bardot appealed to Alexander Lukashenka with an open letter in which she asked to protect homeless animals of Belarus. In response, Belarus MFA Head Vladimir Makei expressed deep respect to Bardot and thanked her for the valuable advice. Belarus slips to 70th place in Global Corruption Index 2018. The Transparency International’s index measures 180 countries on a scale of 0 to 100, where 0 is highly corrupt and 100 is very clean. Since last year Belarus has moved down from 68th position to 70th with 44 scores. The country made a serious leap at the end of 2016 – from 107th to 79th place. Belarus finds itself in another conflict-in-progress with Russia, with a growing wave of Russian information attacks on Belarus. Belarus lifts restrictions on the number of US diplomats in Minsk, however, a breakthrough in Belarus-USA relations remains unlikely. Belarus’s economic growth will slow down in 2019/2021. Belarus has got potential for reducing the generation of waste and expanding the substitution of primary resources with secondary raw materials. World’s first crypto exchange launched in Belarus. Belarusian opened a hostel at the foot of a nuclear power plant. Belarus allows foreigners to register online. Minsk airport tops World’s Most Punctual Airports. Belarus and Russia Dispute the Fundamentals of Their Relationship – Yauheni Preiherman notes that over the past several months, Belarus has found itself in yet another conflict-in-progress with Russia, with a growing wave of Russian information attacks on Belarus. The analyst believes that relations with Russia are absolutely crucial for Minsk and will remain so for a long time and under any government. But Belarus is not going to trade its sovereignty to preserve the status quo in relations. 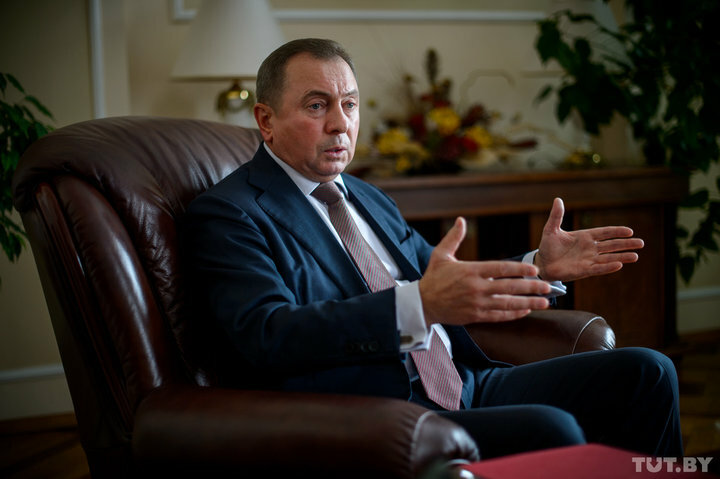 Belarus – US: There Will Be No Breakthrough. Blitz Comment #1 – Andrei Kazakevich comments on a recent report on the lifting of restrictions on the number of US diplomats in Minsk. He believes that the full-fledged work of the embassy will expand the relations between countries but doesn’t mean qualitative changes. The Blitz-Comment is a new joint analytical project of BISS and Nashe Mnenie expert community. Is Annexation of Belarus Really Imminent? – Belarus is not a former Soviet republic, Edward Lucas, a reputed British writer and security policy expert, stated in an interview with Belsat TV. He reduced the likelihood of a dramatic scenario in Belarus-Russia relations and noted positive changes in the country. of self-regulation in the Republic of Belarus as a whole, it is necessary to develop a form of incorporation for the self-regulatory organization. Effectuation processes, gender, innovativeness and performance of SMEs: the case of Belarus. Maryia Akulava from BEROC explores the link between the applied effectuation principles, the gender of the leader and SMEs financial and innovative functioning on the Belarusian example. The findings also clearly indicate women being more prone to the hybrid decision-making strategy than men. World Bank: Belarus’ economic growth will slow down in 2019/2021. According to the data in Global Economic Prospects report, the annual growth rate for Belarusian economy may slow down to 2.7% in 2019 and down to 2.5% in 2020/21. The lack of structural reforms may leave to increased political uncertainty. UN: Prisoner executions in Belarus ‘simply unacceptable’. The continued use of the death penalty in Belarus has been condemned by an authoritative UN rights body after three men were reportedly executed there, despite its requests for clemency. Belarus remains the last country in Europe and Central Asia that applies the death penalty. Sweep. Green Light for Some, Red Cards for Others – Yanina Melnikava, MediaKritika, overviews the rapid change of the Belarusian information space. The journalist points to the prosecution of the leading online resources, the introduction of mandatory user authorization, the emergence of Russian actors on the market that can result in serious consequences not only for the media sector but also for national security in general. Can Russia Devour Belarus? Really? – The conflict between Minsk and Moscow about the tax manoeuvre gives rise to fears that Russia is preparing to join Belarus. Several articles on this topic appeared in major Western media like The Washington Post, Bloomberg, Independent. In the TUT.BY new video project Chewed, Artyom Shraibman convinces that it’s too early for supporters of Belarus’s independence to panic. Belarus Inside the Bear Hug. And Its Geopolitical Predicament After the Ukraine Crisis – Aliaksei Kazharski, PONARS, in his policy memo notes that the 2014 crisis between Russia and Ukraine has produced new security concerns in Minsk related to a hypothetical Russian intervention and occupation of Belarus. But the crisis has also allowed Minsk to reap some short-term diplomatic benefits and improve its image in the West. New Union State Military Doctrine Will Not Change Status Quo in Belarusian-Russian Military Alliance – Arseny Sivistky doesn’t believe that a new Military Doctrine of the Union State of Russia and Belarus will include provisions for the establishment of a Russian military base on Belarusian soil. But what is almost certain is that Minsk will seek to exercise its veto power to block the adoption of any political and military decisions inconsistent with its national interests. World’s first crypto exchange launched in Belarus. Currency.com platform allows traders to buy shares, gold, foreign exchange and other traditional assets with cryptocurrencies from Belarus and other countries. The project was launched by two investment companies led by Viktor Prokopenya and Said Gutseriev. Belarusian opened a hostel at the foot of a nuclear power plant. 18 km from Astravets town. The hostel is in demand among workers who are building the first Belarusian nuclear power plant. The hostel manager is confident that the place is safe, because “the degree of protection against radiation is very strong”. Belarus allows foreigners to register online. Foreigners arriving in Belarus can register online and free starting January 2, 2019. Thus, foreign visitors to Belarus are no longer obliged to visit registration offices in person. The registration of tourists can be done through the unified portal of e-services within 5 business days after arrival. Minsk airport tops World’s Most Punctual Airports, according to Punctuality League for 2019. Minsk National Airport claimed the first place in the category of the best-performing small airports (2.5-5 million seats) with 92.35% of flights arrived or departed on time. ‘On-time’ is defined as departures and arrivals that take place strictly less than 15 minutes after schedule.